What a nice treat. After church I decided on a quick ride from the base of GMR to the maintenance shed. It was quick and heading down I saw Kevin. 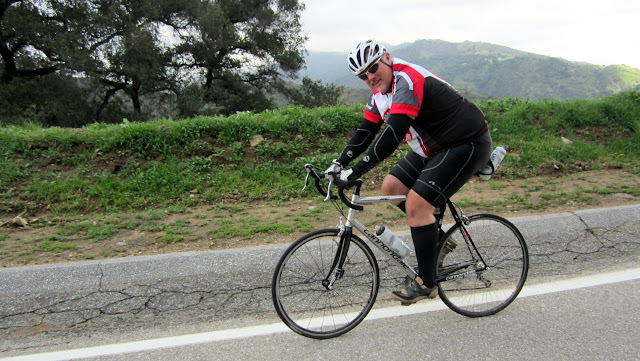 Kevin is training for our quarterly Mt Baldy ride.